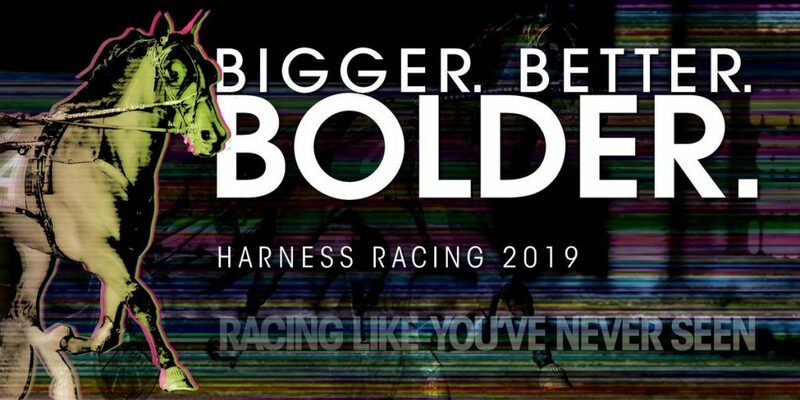 Harrah’s Hoosier Park is putting the final touches on preparations for the 2019 racing season that begins Friday, March 29. 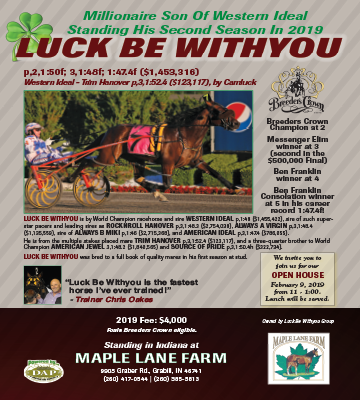 According to a press release from Emily Gaskin, race marketing manager and commentator, stall applications are now available and due to Scott Peine, director of racing and racing secretary, by Friday, Feb. 8, 2019. 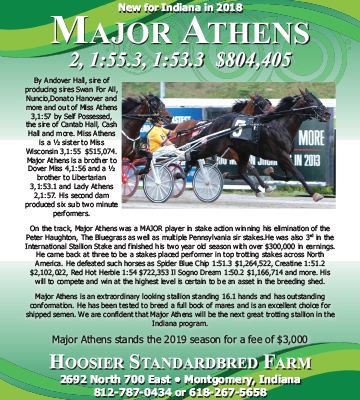 Stall applications are available through Harrah’s Hoosier Park’s website and also at the bottom of this story. Applications include stalls on the ground as well as for ship in privileges. 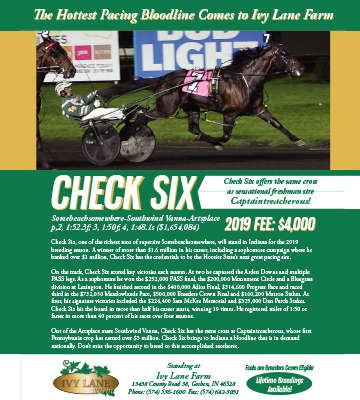 Condition sheets and more information on upcoming events at Harrah’s Hoosier Park will be made available soon. Stall allotments will be announced later in February. For more information, contact Peine at (765) 609-4870 or by email at speine@caesars.com. 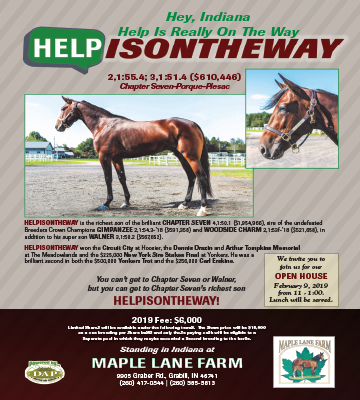 Click Here for the 2019 Stall Application.